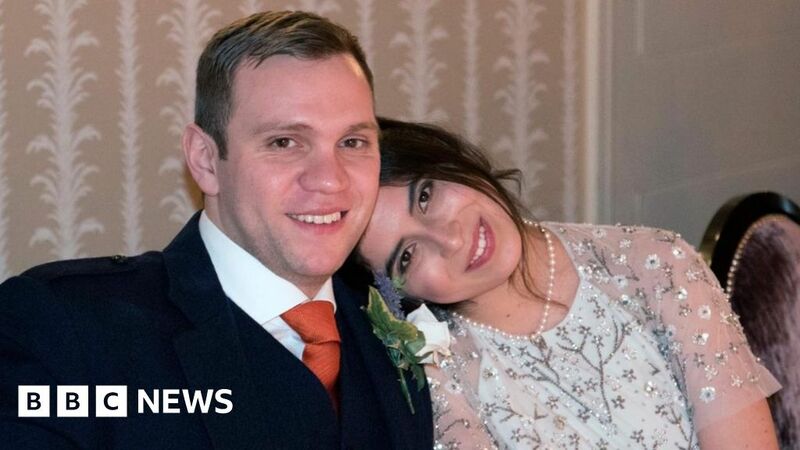 Durham University PhD student Matthew Hedges has been charged with spying for the UK government in the United Arab Emirates, according to UAE government. The 31-year-old student was arrested on 5th May at Dubai Airport and has been held in solitary confinement and would face ten-year imprisonment if convicted. According to UAE’s attorney general, Hamad al-Shamsi said that Matthew had been charged with “spying for and on behalf of a foreign state” in an act that “jeopardizes the military, economic and political security of the UAE”. Hamad al-Shamsi claimed that Matthew posed as an academic researcher, attempted to gain confidential information and potentially passed some information to a foreign intelligence agency. Matthew’s wife, Daniela Tejada, denied all the allegations and said he visited the UAE for strictly academic research purposes as he was researching the impact of the Arab Spring on the UAE’s foreign policy and security strategy. According to his wife, he was detained by UAE law enforcement without any charge for over five months and his rights are violated on the daily basis. Daniela Tejada said, “I am calling on the UK government to clarify publicly that Matt is innocent of the charges and that there have been many falsehoods said about him.” Durham University’s professor, Stuart Corbridge, said the university is aware of the allegation against one of their PhD students and raised concerns about Matthew’s wellbeing with the UK Ambassador to the UAE, the Minister of State for the Middle East and North Africa at the Foreign and Commonwealth Office, and local MPs and would offer assistance to bring Matt home safely and swiftly. The UK’s relationship with the Gulf state has gained strength in recent years, taking on added importance with Brexit on the horizon. The Briton espionage case is already set to distort relations between the UK and UAE. Minister of State for Foreign Affairs, Anwar Gargash, tweeted on a social media account showed that the UAE was disappointed with Britain’s response as they are trying to ignore the events. In recent years, UAE law enforcement agencies have arrested several foreign spies threating the national security of the country and this case is crucial for both countries. In response to the Briton case, Jeremy Hunt, the British foreign secretary, said he had “personally raised” Matthew’s case with his UAE counterpart. According to a spokesperson for British Foreign and Commonwealth Office, UK is providing support and keeping a close contact with the UAE government, contradicting the Anwar Gargash tweet. Before it’s too late, it is crucial for law enforcement agencies to discover the truth behind Matthew’s espionage case. Whether he is a spy, tried to obtain sensitive information for a foreign government or he is an innocent scholar and has been falsely accused. Whatever the case is, to protect the special relationship between both the countries, a speedy resolution is necessary with attracting as little public scrutiny as possible. As Matthew’s charges remain unsettled till proven, it is the duty of the Foreign and Commonwealth Office and UAE law enforcement to discover the truth and substantial evidence before charging an individual for a severe crime. The one and only possible step to disclose the truth behind Matthew’s case is to gain accurate intelligence and leads that only Matthew poses, saving time, manpower, money and above all a foreign dispute. In such sensitive and consequential cases, conventional investigative tools cannot be of considerable help as they don’t disclose what information the suspect is withholding from the investigator. The only rational solution is to employ an impeccably accurate, guaranteed positive results, easy to use and master, a non-invasive technology that respects human rights is developed by a reputed US company Brainwave Science and it’s called iCognative. iCognative technology guarantees over 99% accurate results in more than 85% of the criminal as well as civil cases wherever some investigation has been carried out. Such perfect accuracy and a short time frame to obtain valuable intelligence and leads is only possible by iCognative as it can accurately determine exactly what the Matthew knows and can further identify what sensitive information he stole, whether he is a skilled spy or an innocent PhD scholar, who appointed him, previous crimes and other vital information from the best and foolproof source of all action- the human brain. A 45-minutes iCognative test when utilized by law enforcement can identify the absolute truth and provide evidence, intelligence and missing links to prosecute him with over 99% accuracy. Investigation details related to this case such as: motive behind his visit to UAE, what precise information he was trying to obtained, how he obtained that information, relationship with Islamic Brotherhood, connection with Qatar government (accused of providing classified information), his local contacts, data on his laptop and mobile, etc., along with other confidential details collected during the investigation (called Stimuli) is added to the iCognative system by the investigator to conduct the test. Once all this information is verified by iCognative, the law enforcement agency can recognize the truth behind the case and investigate in the right direction and gain the most accurate information regarding this case. iCognative is the only technology that can play an essential role in the positive outcome of this complex case and reveal the truth about Matthew. Not only that, for the UK Government and their citizen, presuming that Matthew is innocent, iCognative by Brainwave Science supports that side of the case as well. System driven, and proven technology is as powerful in identification of innocents as it is of suspects and perpetrators. It can confirm with over 99% accuracy if the information that Matthew is accused of possession is not contained in his brain and therefore he is innocent. This contemporary technology not only helps law enforcement agencies to identify and arrest the perpetrators but also helps provide evidence with over 99% accuracy to prove the innocence of a detained suspect- maybe Matthew. To restore the faith in justice and maintain the healthy relationship between UK and UAE, iCognative by Brainwave Science is the most authentic and reliable technology that law enforcement agencies should deploy to speedily solve this case and reveal the truth.